Sailfish changing home port to Hawaii. I had never been to Marshall,Tx and may never be again but I was there last week. While there something made a connection that I would never have guessed. Sally and I have become very familiar with the golden arches. The bathrooms are always clean and the Coffee is normally good. The coffee, of course means that there will be a need for another bathroom break in a location (probably another McDonald's) not too far away. That’s ok because I was not built for speed. We were on our way to a ships convention in Branson, Mo. when we made the above mentioned stop in Marshall. I had my vintage ballcap emblazoned with my rate and the name of the ship (Sailfish SS572) but I left it in the car. It's pretty old and, after all I had brought it for the convention, not McDonalds. Who could you possibly see at a McDonald's? Inside, I met a tall man with a lot of presence who was wearing a submarine veterans ballcap. I asked him if he was heading to Branson and he responded that he was going to Arlington. He asked if I was going to a convention. I told him that I was, a convention of crew members of the Sailfish. The sailfish he said. I have a connection with that boat. Then he told me his story. 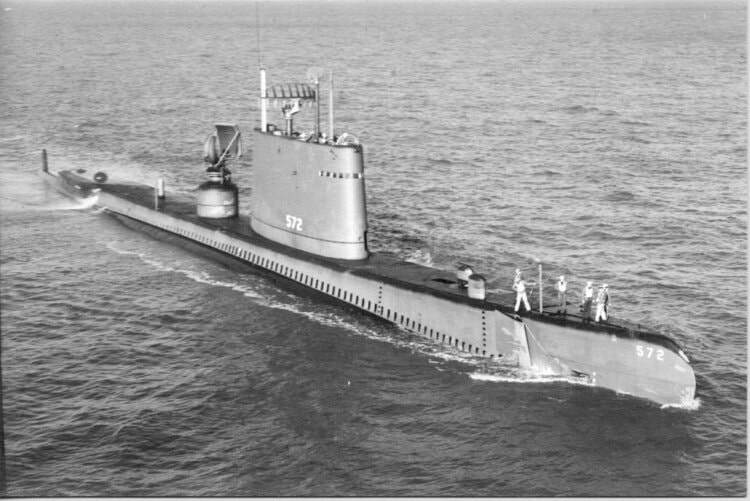 USS Cavalla when she was a functioning guppy submarine. His name was John McMichael and he retired after 32 years and 11 boats as a Master Chief. He asked me if I had heard of the Cavalla which was the museum boat at Seawolf park in Galveston. I had visited it way back in the 80s and have lived just north of Houston for over 40 years. I had heard that it was restored after some years of neglect. He said he was the project manager for the restoration of that boat. ​It seems that the Cavalla was going through a major refit while the sailfish was under construction and apparently their commodes were unique. Before the sailfish was taken out and sunk he made the trip to Washington state and returned to Texas with two commodes for the Cavalla. SSR 572. Pre-puffs with all the radar still on board. 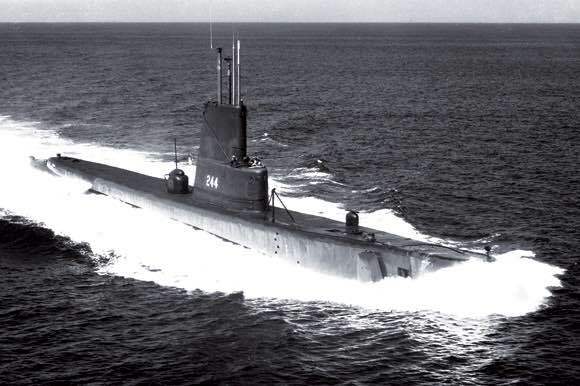 A radar pickett submarine. Now I know some old loves are more emotional than others but all of us leave something behind. I have seen many young sailors making love to those commodes. If you are among them, your old love now resides in Seawolf Park in Galveston. I have bought into stories that were not true at times in the past. Master Chief McMichael looked the part but it never hurts to check. Google can be your friend. http://www.cavalla.org/cavcurr1.html mentions the Master Chief as the curator and COB of the Cavalla and mentions hiring him as probably the best luck they had in effecting the restoration. Now I feel pressed to visit her again. Another article mentions the damage caused by Hurricane Ike so I guess the work is never done. If you are passing through the area, It’s worth your while.